Another beautiful weekend has come and gone, and though I recount many laughs, good food, and memories with friends, there is something so menacing about Sunday evening. A gentle reminder that another week is to come and pass before we meet again, and by “we” I mean the 1.5 days (not really 2 days since you spend the last half of Sunday preparing for Monday) of breathing and relaxing. Normally, Sunday night is deeply invested in the monotony of dishes, general tidying, sweeping and mopping (because I might actually cut someone if I have to do it during the week), and praying I can finish laundry so that El’s naptime bedding is dry to take to school tomorrow. However, this Sunday, I threw chores to the wind, and took off on a Cessna to another outerlying island in the Pacific: Yoronjima, the Island of Yoron. 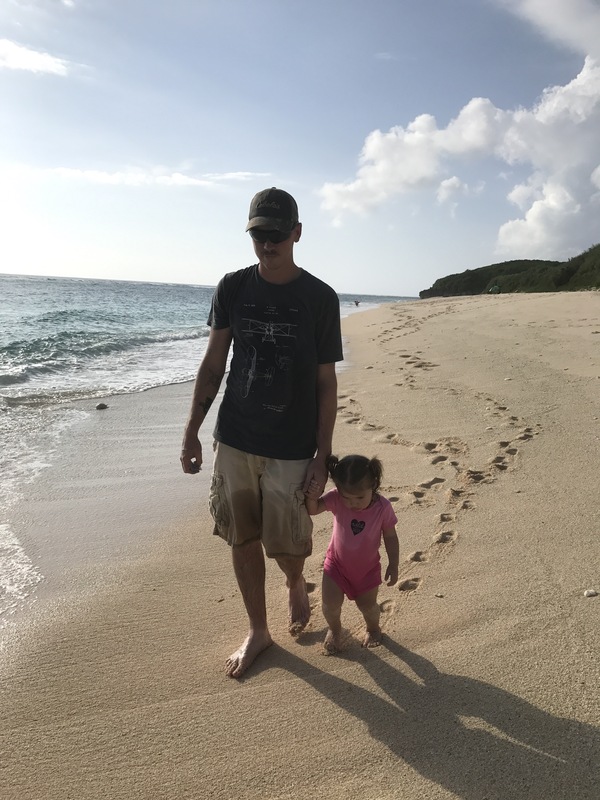 Elylah has been an especially adaptive child lately, and I know I speak for both Matt and myself when I say that we are especially appreciative. If you’ve been following previous posts, I was lucky enough to strike a gold-mine and be offered a position in my dream field, right here on this tiny Oki island. (Mind you, Matt is already active duty USAF, so he is also non-stop.) With that being said, the last month has been nothing but errands to prep for this new adventure, and when I’m not running errands, I’m researching everything else. This means less time at the park, less time at the beach, and less time building Lego castles–even though those are three of my favorite things to do with my favorite princess. 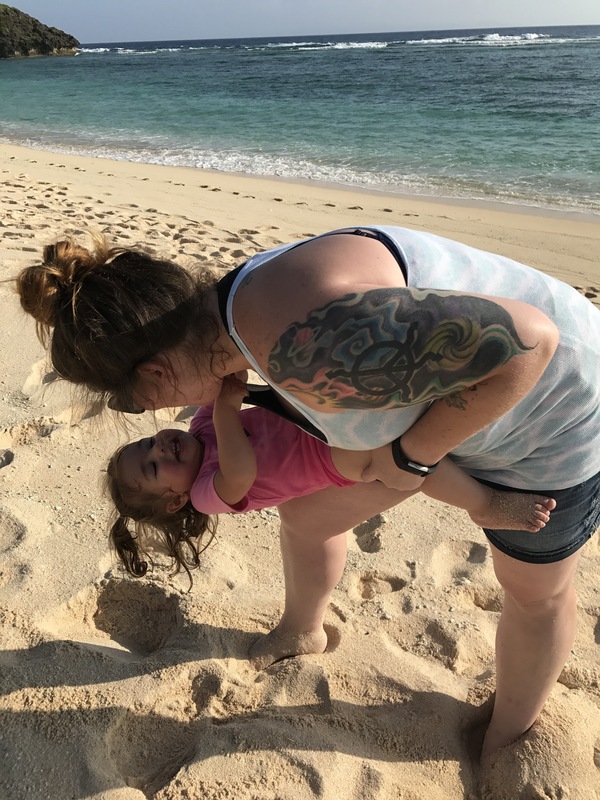 She has been so understanding and accepting, even at her tiny age of 18 months, but that somehow doesn’t make it much easier for us, as parents, to deal with. Though Matt has been flying for about four years, he has only held his first certificate (PPL) since El was born. We have been researching and YouTube-ing, and blog-following for those 18 months to see when it is best to start her flying with us. 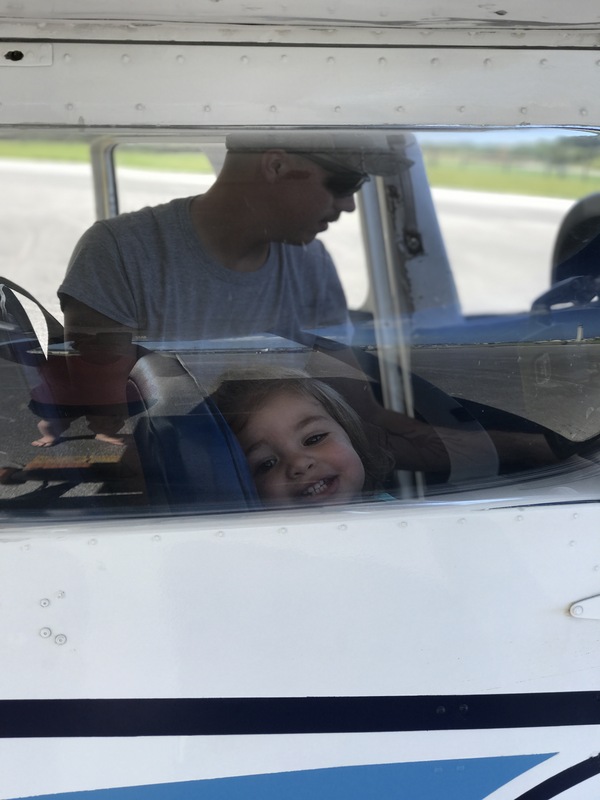 We did fly home commercially for Christmas when she was nearly a year old, but a small Cessna is much, much different, and we were so worried she just wouldn’t handle. As a result, everytime Matthew and I want to go fly together, we have to plan for a babysitter. Seems easy enough, right? Well, anyone that flies regularly, non-commercially, knows that weather is a factor (especially on a tropical island) and planning for a babysitter a week-in-advance isn’t always easy. With that, we agreed it was time to go. One of two things would happen, she would either love it or hate it. Though Saturday was already packed to the brim, we hopped on the scheduler (thank you to the folks who dipped out!) and blocked out about 2 hours to do a brief local flight and reintroduce her to the sky. We took off with a perpendicular-to-the-runway 11-kt crosswind, and the thermals over the island were rocking us around pretty well. All the times I have flown, and wouldn’t you know I was the only one who got even remotely sick? Elylah was squawkin’ and squeelin’ and havin’ a grand ole’ time, meanwhile Mommy is sitting in the back cradling her head in her hand and desperately waiting to reach the Earth once more. Alas, our pattern ride had come to an end, but there was now a more significant crosswind advisory with 20-kt gusts. Yay. But I will say, for all my nausea, my husband is a damn good pilot, and he crabbed us straight in with Elylah hootin’ and hollerin’ all the way! That was enough confirmation for us, and so it was decided that she would now join us on our future endeavors beginning with tomorrow’s trip to Yoronjima. 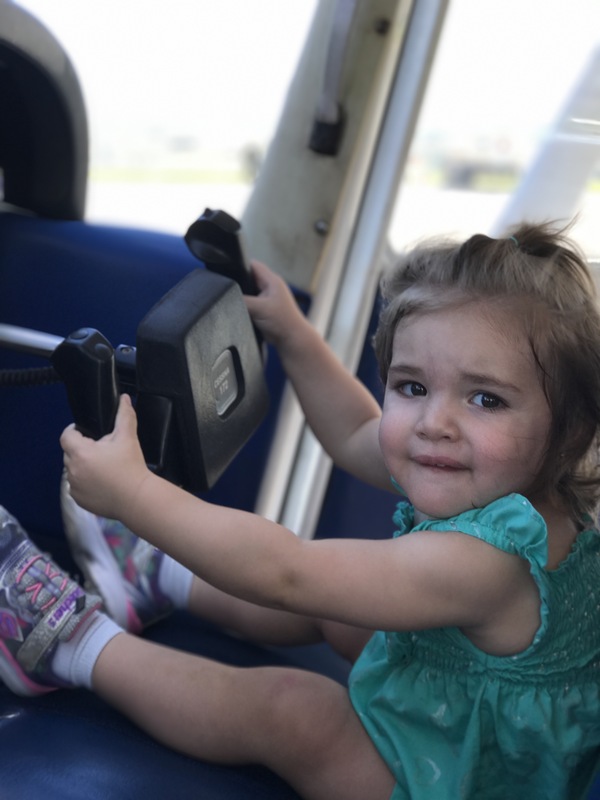 I was 250% overprepared for any situation Attitudey Judy may throw at us: AppleJacks, Cheerios, squeeze applesauce, juice, water, yogurt raisins, a book, and as a last resort–I loaded my phone with El-friendly apps to occupy her little brain in-flight. Yo, I got this. We also purchased BebeMuffs from Amazon (snag yours here –> https://www.amazon.com/BEBE-Muff-Hearing-Protection-Certified/dp/B01192DG8K?th=1) to cover her ears, and while they do the job, this child just hates anything on her head. They were certainly an awesome purchase, but she rips them off right away, so we stick with foamy EP’s while we work on familiarizing her with the BebeMuffs a little more. 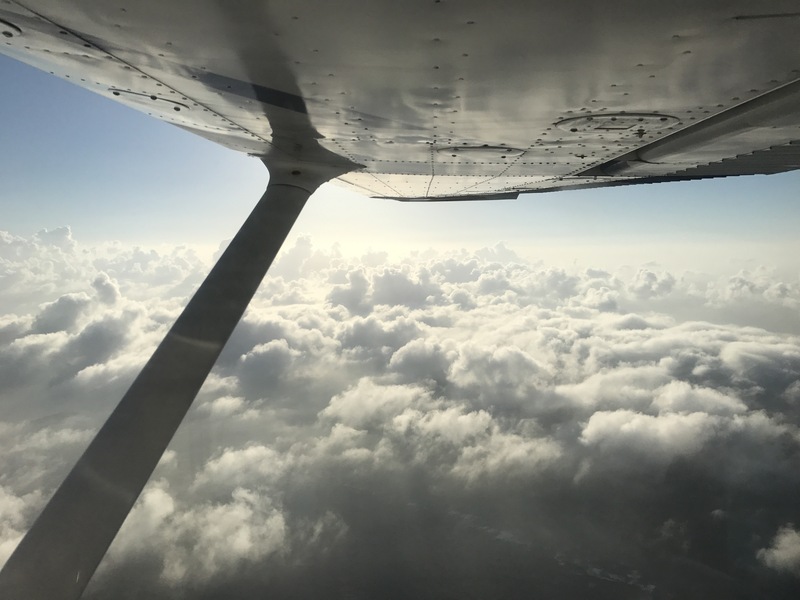 I am so used to riding right-seat with my handsome aviator, but sitting in the back and sharing this view with my little, while watching my husband do what he loves was such a reward in its own. Though the restaurant was closed, the view far exceeded my/our expectations, and we quickly forgot about eating. Walking around the back of the restaurant, there was a small stone path that wound down through stony, vine-coated walls. 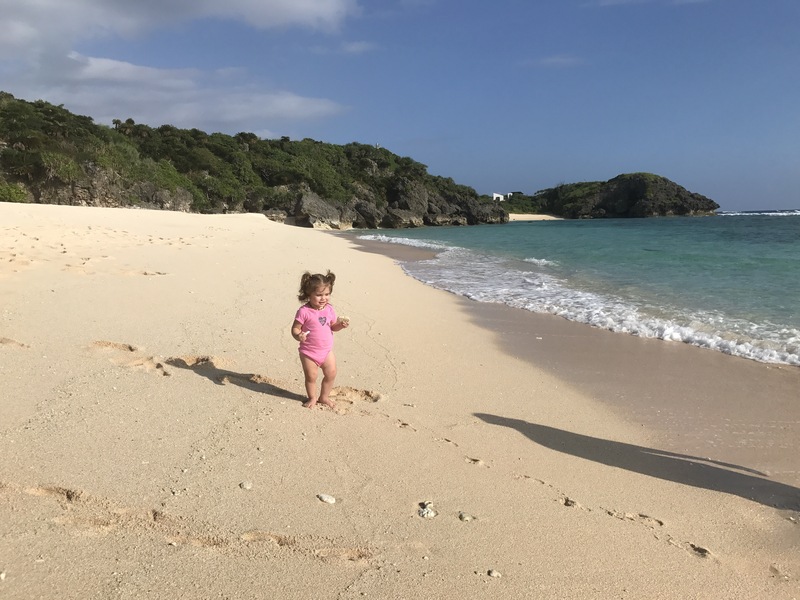 We set Elylah down on the soft, white sand, and she made a mad dash for the water without a moment’s hesitation. Snatching up chunks of coral and throwing them into the water while the waves washed over her feet, and just watching her genuinely enjoy herself in this new, yet familiar, environment filled my heart with pure happiness. I am so thankful that we have this opportunity: being stationed in the Pacific, having the option to rent aircraft, having the funds to rent the aircraft, having the funds to have obtained the education and training necessary to achieve the certifications that allow you to rent aircraft, being able to escape the madness of everyday life, and see the raw beauty this world has to offer. We are so fortunate. I’ve said it once, and I’ll say it fifteen more times; you can always make money, but for the love of experience, you can’t always make memories. Get out there.